This has been a fun week. My husband and I visited some friends on Cape Cod. It was wonderful to read some books on their dock and enjoy the weather. I was able to finish up some books on my kindle that have been begging me to finish them up (or start them). We got a bit of rain on July 4th; however, the rain wasn't too bad and it was perfect reading weather. Reading books on my kindle this week has sparked my interest in kindle books again, so I can foresee a big switch from graphic novels and audible books to kindle books in my future. 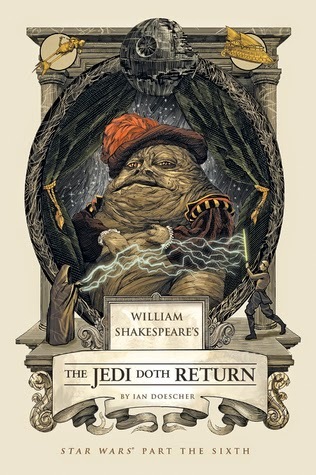 I received William Shakespeare's The Jedi Doth Return by Ian Doescher from Quirk Books. 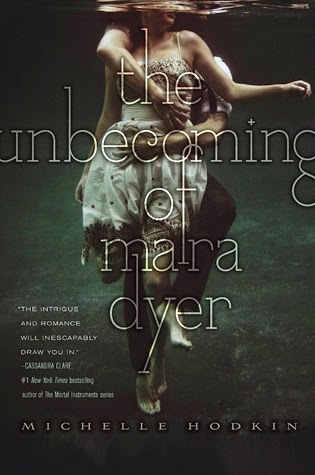 I picked up The Unbecoming of Mara Dyer by Michelle Hodkin on Amazon for $1.99 (it is still this price as of writing this post). Tomorrow and Tomorrow by Thomas Sweterlisch: This is an interesting little book so far. It reminds me of Altered Carbon by Richard K Morgan and Down and Out in the Magic Kingdom by Cory Doctorow.